In the last month alone, more than 210,000 people have added their names to a petition to demand that breaching the four lower Snake River dams begin this year to provide the starving Southern resident orcas the food they need. The petition can be found at www.srkwcsi.org. For 17 days this summer the world watched as Tahlequah, J35, carried her dead baby, refusing to release her calf to the sea. The world is still watching Scarlet, J50, the ailing, emaciated, 3-year-old female orca who refuses to surrender herself to the sea. She has metabolized all of her toxin-laden blubber, 20 percent of her body weight. This has suppressed her immune system, but she is still struggling to live. Since Tahlequah began to focus the world's attention on the plight of the orcas, she has let go of her calf. Scarlet continues to struggle to survive in her native waters, where there are no longer enough Chinook salmon to feed all the orcas. Tahlequah and Scarlet have shown the world that they do not want their clan to go extinct. Breaching these dams is the single best opportunity to provide the largest supply of Chinook salmon the fastest for the starving Southern Resident orcas. At the Aug. 28 SRKW task force meeting in Anacortes, Washington, petitioners will ask Gov. 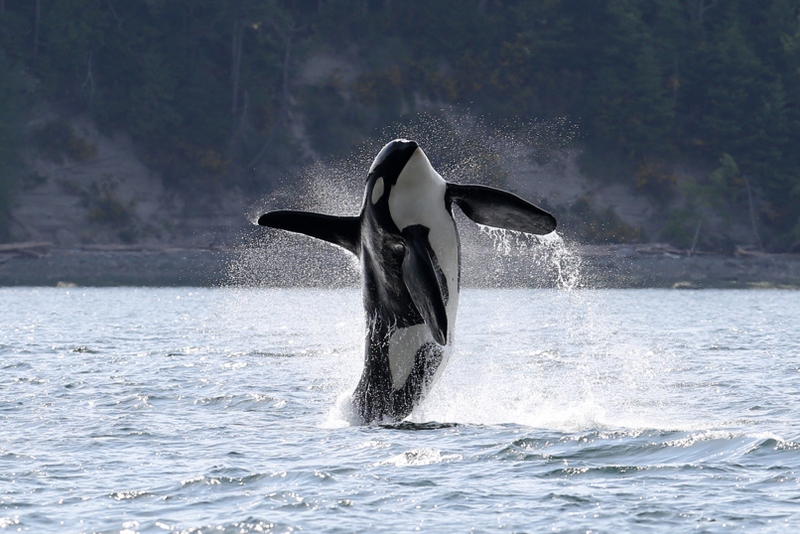 Jay Inslee to publicly support one of the boldest, most effective actions that would increase salmon abundance for these whales: breaching the four Lower Snake River dams.